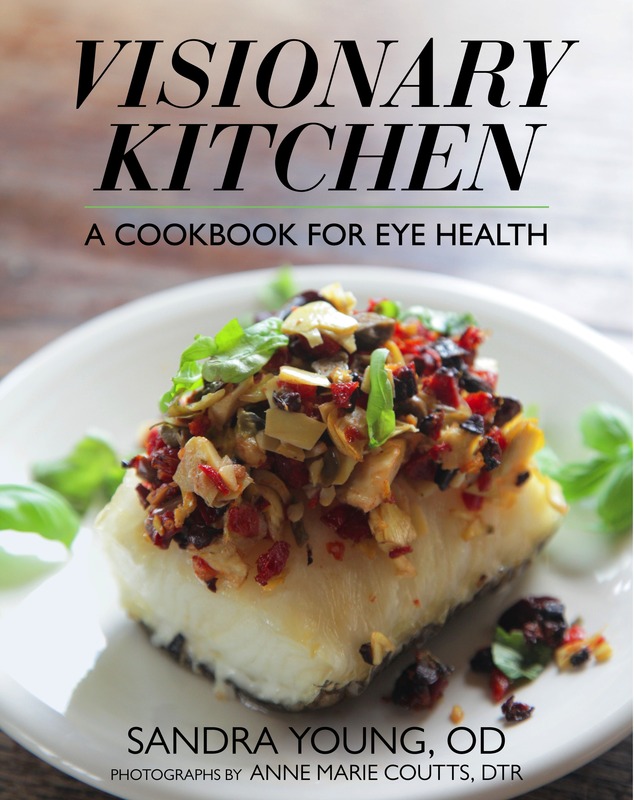 In Visionary Kitchen, Sandra Young, optometrist and chef has crafted 150+ mouth-watering, nutrient dense recipes based on recently published science which identifies essential eye nutrients: Lutein, Zeaxanthin, Omega-3’s balanced with Omega-6, Vitamins A, C and E, and Zinc. These low-glycemic impact recipes are designed to meet a wide variety of dietary needs ranging from traditional fare to gluten-free, vegan, vegetarian and dairy-free options. Everyone is sure to enjoy these great tasting, healthful meals. Start your own Visionary Kitchen! Congrats to Dr. Sandra Young, Colorado Optometric Colleague for this great book already winning 3 awards!